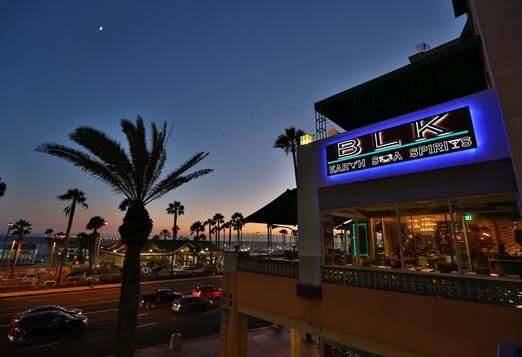 Just in time to enjoy al fresco dining and stunning summer sunsets on Orange County’s largest ocean view patio, BLK Earth Sea Spirits has opened in the heart of downtown Huntington Beach. BLK features contemporary American cuisine with an emphasis on grilled certified Kobe and Wagyu hand‑cut steaks, poultry and seafood. 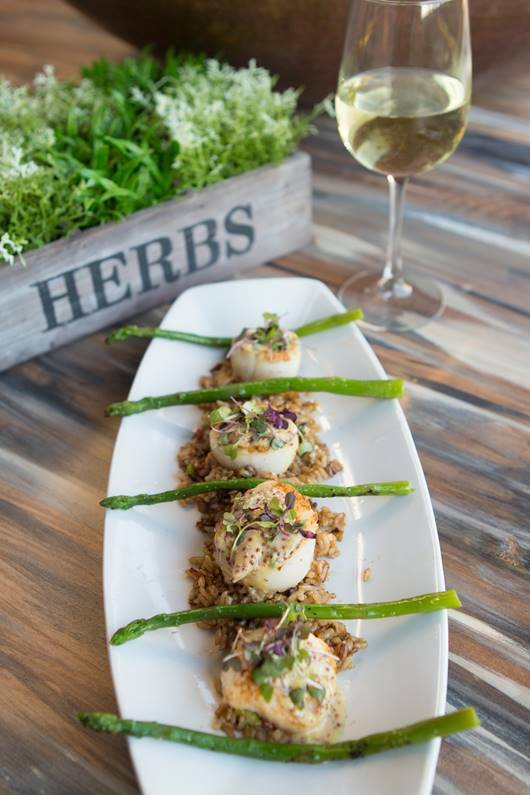 The sophisticated yet casual restaurant also offers an extensive wine list and selection of craft cocktails, as well as 24 individual Beer Taps and a Custom Beer Tap Room that can be seen through glass adjacent to the exhibition kitchen. BLK has an Express Lunch menu available Monday through Friday from 11 am to 2 pm, with a variety of entrees served in 10 minutes or less. A weekend buffet brunch and menu are also served from 10 am to 2 pm on Saturday and Sunday. The dinner menu includes an array of appetizers such as an Ahi Tower (Asian marinated ahi tuna, edamame, fresh mango and avocado); Brussels Sprouts (sautéed with garlic, shallots, ponzu sauce and bacon); Crab Cake (served with fire roasted corn relish and spicy pepper sauce); Steamed Mediterranean Black Mussels (with tomato broth, crushed red chili and sourdough bread); Lobster Mac n Cheese (fresh lobster in a three-cheese chipotle blend with mild jalapenos and garlic) and more. BLK’s menu also offers Kobe beef, salmon and veggie sliders; Margherita, pesto and asparagus goat cheese flat breads; soup made from scratch daily; and fresh salads including Apple Chicken, Kale with fresh mango, Ahi, Salmon and others. There is also a charcuterie platter that makes a perfect starter or small plate. 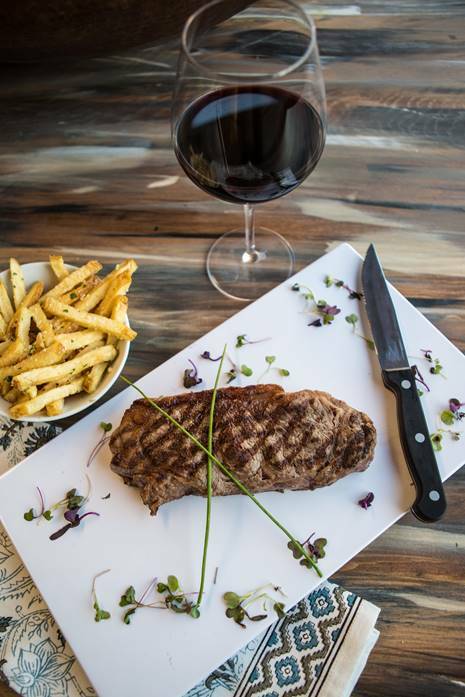 Entrees from BLK’s Earth section of the menu include Filet Mignon, New York, Rib Eye, Porterhouse and Flat Iron steaks from Heart Brand. An Akaushi Kobe style prime cut steak from Harwood, TX is also featured, along with Mary’s Roasted Chicken, Rack of Lamb, Braised Short Ribs and more. The Sea selections including fresh Lobster; Crab Legs; Pacific Halibut; grilled local Swordfish; grilled Atlantic Salmon; Herb Crusted Alaskan Cod; Chilean Sea Bass; and Shrimp & Lobster Linguini. 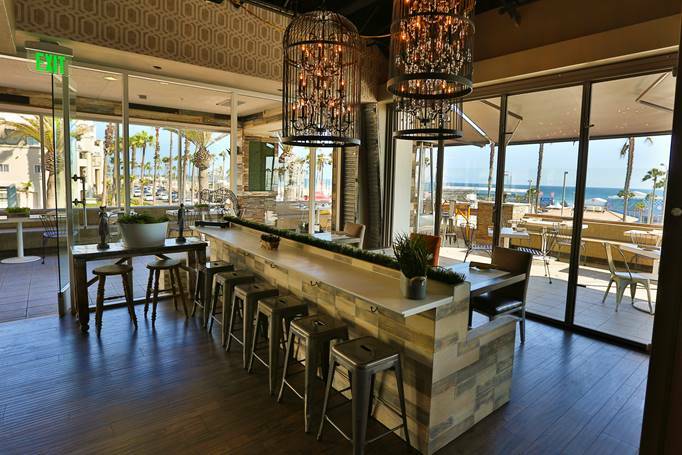 BLK will offer live weekend music on the ocean view patio. 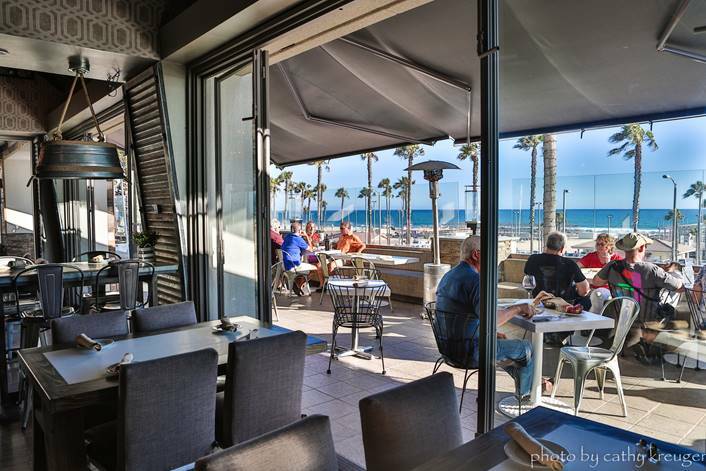 In addition to quality dining and cocktails, the restaurant offers the largest heated patio overlooking the ocean in Orange County. BLK is the ideal setting for special events, romantic occasions and private functions for up to 200 guests. BLK Earth Sea Spirits is open Monday through Friday from 5 to 10 pm, Saturday from 10 am to 11 pm and Sunday from 10 am to 9 pm. Lunch service will begin August 7 at 11 am and will continue on weekdays. The restaurant is located 300 Pacific Coast Highway, Suite 202, (at Main Street) in Huntington Beach. To make reservations or for more information, call the restaurant at (714) 960-0996 or visit blkearthseaspiritshb.com and connect at facebook.com/blkearthseaspiritshb.